Race Face has been committed to bringing “leading-edge” performance products to the bike industry for over 20 years, including components, clothing, and protection. Our collaboration with their softgoods team focused on the development of a new category of storage under garments. This category targets riders in the growing enduro market. There are four pieces to the collection; a liner, a bib, as well as a men’s and women’s specific tank. Comfort, breathability, support, and storage were the main requirements and ultimately drove the design. Vent panels and lightweight mesh materials provide comfort and breathability, while strategically placed sections of lyrca and silicon strips provide support. 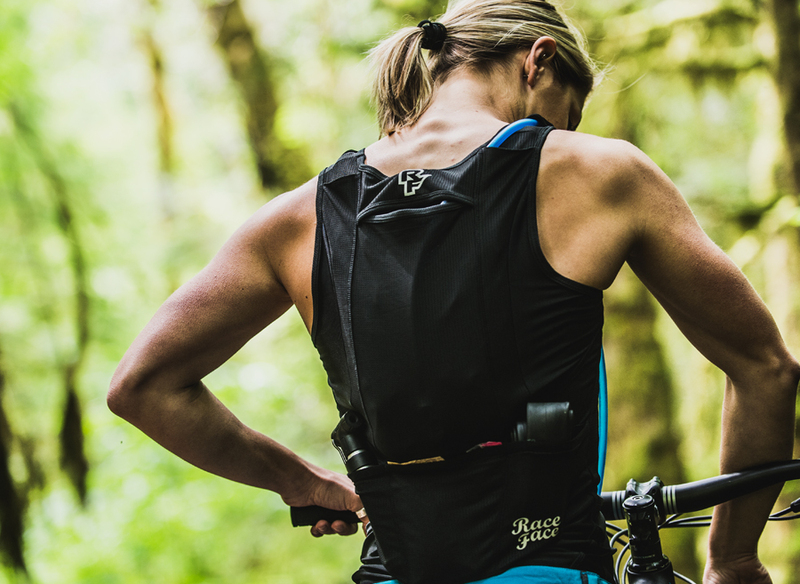 Each of the garments gives riders the ability to carry and have easy access to a tube, pump, tools, nutrition as well as other essential gear. 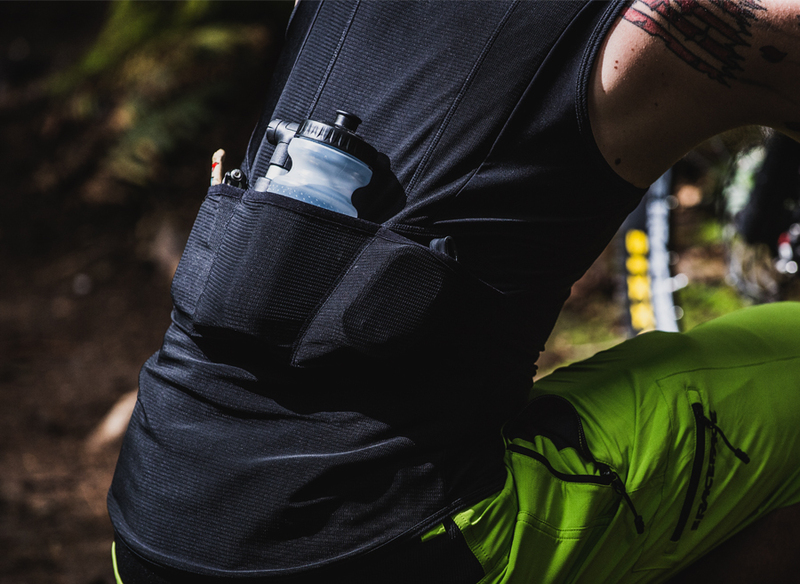 The bib and tanks also have a hydration pouch with an integrated hose channel to carry a 1.5L bladder.